The first roundtable event of the Digital History seminar had some teething problems behind the scenes. One of the original presenters, Alastair Dunning (The European Library) wasn’t able to make it but was quickly replaced by Adam Farquhar (British Library). Then much closer to the event Andrew Prescott (KCL) broke his leg and had to pull out. Torsten Reimer stepped up to the challenge whilst Tim Hitchcock agreed to read out a short statement from Andrew. The suggestion was also made that Lorna Hughes (University of Wales) might be able to offer a ‘first response’ presentation. In the end the event was perhaps stronger for the larger mix of presentations with much food for thought. The topic was the future and present state of digital history. It is interesting that as an historical focus, digital history was, not all that long ago considered somewhat obscure as a disciplinary focus. There was great uncertainty about what should be digital, what that meant, and how research could benefit from such tools and approaches. I think all speakers agreed that we are well past that point, but there were concerns that we have not yet figured out what ‘digital’ can and should actually do for us. Digital should be able to transform what we do, yet so far this has not happened. The extensive and highly important transcription work carried out in the nineteenth and early twentieth century by historians was a nice comparison. The publication of masses of historical documents alongside analytical and explanatory commentaries revolutionised what historians could achieve and made it possible for us to diversify into other areas such as gender, cultural, and psycho-analytical methodologies. The same expansion or transformation of History is yet to occur due to digital techniques, yet the tantalising possibility that it can do remains. The roundtable began with a statement written by Andrew Prescott but read out by Tim Hitchcock (this statement can be found on Andrew’s blog Digital Riffs. This was then followed by presentations by Melissa Terras, Adam Farquhar and Torsten Reimer providing insights from the point of view of the scholar, librarian, and funding body in that order. Lorna Hughes then made first response which was then followed by various questions and answers. As per usual the session was streamed live with Andrew Prescott and seminar conveners Peter Webster (IHR) and Seth Denbo (Maryland Institute for Technology in the Humanities), joining the 20 strong online listeners. Although the first 30 minutes was affected by an odd echo on the microphone the stream worked well. The edited version presented on History SPOT combines some of the slide show presentations and cuts out the bits between presentations where possible. It also (thankfully) cuts out one piece where I appeared on screen to sort out a slide show that at first refused to work. To listen/watch this podcast click here. The development of home economics education in China in the early twentieth-century was in part a parallel to similar developments in America and the Western world, but also in part an attempt in China to improve standards. 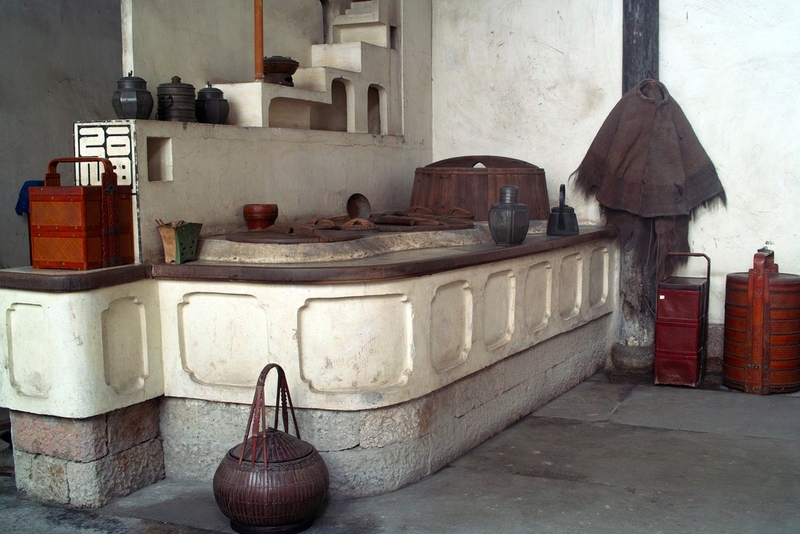 There was an entrenched belief that women were naturally inclined toward homemaking and that home economics study was to supplement and improve the skills Chinese woman already possessed. Helen Schneider looks at how home economics provide us the opportunity to study gender roles, family, and the organisation of the home in the early twentieth century. The Chinese example, as of those elsewhere, favoured a push towards making home economics a science focusing on hygiene, food chemistry, house design and time management skills amongst much else. Practice homes were created to train students where decisions were made as to how western or how Chinese these should be. For instance electric lights were added (which were less common in China than in America) but chopsticks remained. The rise of home economics as a discipline fell again as the century progressed and it is now a largely forgotten footnote both in China and the West, yet as Schneider shows us, there is still much that can be learnt from its study. 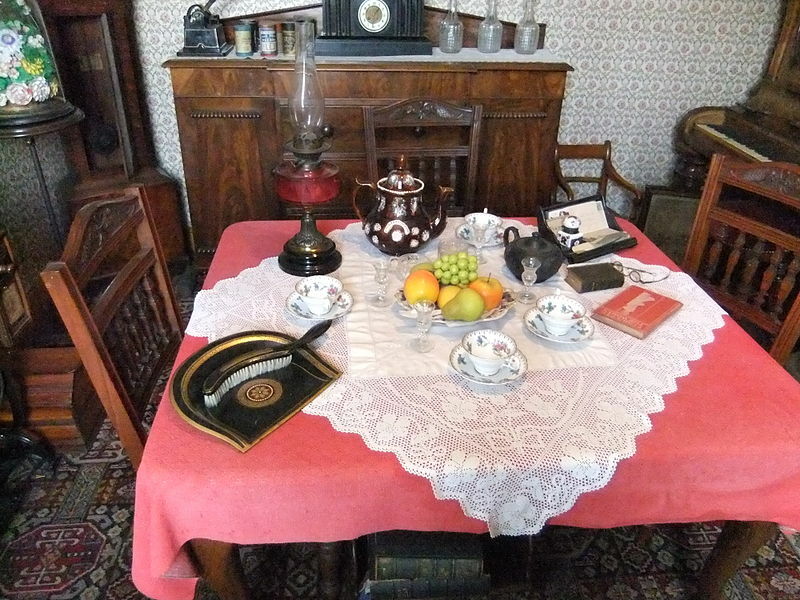 Replica of a Victorian dining room. Photo taken at The Museum of Lincolnshire Life, Lincoln, England. Trevor Keeble looks at the Victorian home through the lens of design as an act or process rather than the binary lens of production and consumption more commonly examined. This paper looks at the rising trade in bric-a-brac in the Victorian era as an insight into the broader issues of homemaking. Keeble asks why second hand objects became meaningful and desired and examines the entire process of buying old things and making them your own. Indeed, the process of acquisition is something that is only now beginning to receive attention. Through that interest Keeble not only provides an insight into Victorian homemaking but also into the emergence of the antique market and the backlash against it in various circles as unnecessary and wasteful (in terms of household expenditure). To what degree was there a military institution in nineteenth century Peru? How did militias eventually form an army? What role did armed citizens play in this process? These are all questions asked by Natalia Sobrevilla concerning the origins of the military in Peru. Sobrevilla wants to look beyond the traditional story focused on the Generals and understand the ordinary recruits and citizens in order to gain a more nuanced understanding of state formation in nineteenth century Peru. This is no easy task as Sobrevilla discusses the sources available to her, however it is possible to pick out patronage systems within the army and reconstruct a picture from various official documents. Sobrevilla tells a story of the armed citizens’ relationship to the National Guard, of veterans and pensions, of debates surrounding nationality, and of citizen’s obligations and duty to the state. Sobrevilla concludes that the military organisation was not ‘modern’ as we would understand it today, but it did bring with it rank and position within society and a uniform in which individuals were able to gain a sense of belonging. Containing from my musings about editing seminar live streams and podcasts as video in a previous post I thought I would discuss a more recent leap in my education on how to film and edit video. The first video that I was required to design from scratch and to a higher professional standard was placed on my lap in late January and has just been completed and uploaded to the IHR website, Youtube and a few other locations. This video – an IHR campaign video for our new premises and several other related projects is vital to the future of the Institute. We are embarking on an ambitious plan of renovation and expansion in times that are far from ideal for the world of academia. The first take of the video was perhaps too ambitious to achieve in such a short space of time: we planned to include talking heads from the library staff, one of our research fellows, and one of our members as well as a presentation from the IHR Director, Professor Miles Taylor, and some filmed shots of the Senate House location. It proved too ambitious for a relatively short deadline and the resultant video would have edged towards 10 minutes in length – could we really expect potential donors to listen for that long? I probably wouldn’t. So we set up another meeting to discuss the video and reduced our plans. Miles Taylor rewrote his script to reduce it to less than three minutes and we dropped the idea of talking heads. The final video comes in at just over 3 minutes and focuses on our Director as voice over to accompanying images of the IHR past, present, and future. I think the final product looks fairly good and does the job its intended for. The video is also available on our own IHR website, Vimeo, and Youtube and if you are interested in helping us reach our targets to ensure a modern IHR for the 21st century please take a look at our website. Tonight’s IHR live stream is a roundtable event looking at digital history in terms of its development both past and future. As per usual there will be plenty of oppotunity to field questions online, take part in the Twitter-sphere, and follow along with the slide show and video together. Hope to ‘virtually’ see you there! In two earlier posts I discussed the History in Education conference (see History in Education Conference 2011 (12 January 2012) and History in Education – History Today article now out! (27 January 2012) that was held in the IHR last year. 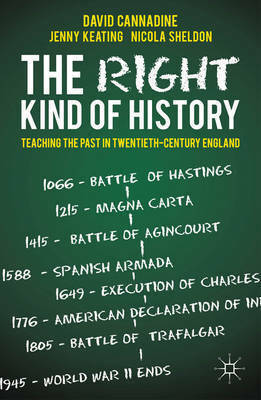 The conference proved a success but the real importance lies in the accompanying book written by David Cannadine, Jenny Keating, and Nicola Sheldon: The Right Kind of History: Teaching the Past in Twentieth-Century England (2011). That book has now been reviewed by Dr Peter Mandler in our Reviews in History site. Mandler argues that the books is both ‘timely’ and ‘long overdue’ and will have a role in future policy debates concerning History in education. What role exactly the book will have is still to be determined but at the very least Mandler believes that ‘the authors can be proud of the fact that their book will certainly serve not only as a starting-point for future historians of history teaching, but also as a model for future historians of all the other parts of the school curriculum’. To read this review click here.